Oral hygiene habits are effective only if you're consistent. 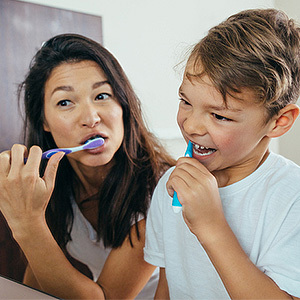 The American Dental Association says children through senior adults should brush twice daily for two minutes and floss once a day. But, what occurs if you neglect one or both of these common practices? Your Westland, MI, dentists, Dr. Dennis Aylward, Dr. Brent Carey and Dr. Allison Carey promote brushing and flossing as the best defenses against tooth decay and gum disease. We all get one set of permanent teeth and a limited amount of gum tissue. Both require careful attention--not only from your Westland, MI, dentists with check-ups and hygienic cleanings, but also with good brushing and flossing at home. These habits should begin early on, as soon as that first baby tooth erupts. Mom or Dad, be sure to brush it with a small smear of non-fluoride toothpaste and a soft brush. Then, as your youngster grows, add flossing, and do it for your child until he or she has the dexterity and discipline to go solo. Teens, adults and seniors, keep going with your own brushing and flossing. They remove the soft plaque which accumulates on and between teeth and at the gum line. Plaque quickly hardens into tartar, and both biofilms contain harmful bacteria that feed on food residues. In turn, the bacteria secrete corrosive acids, leading to tooth decay and periodontal disease. Select a fluoride toothpaste and soft brush (and change it when it wears out or after a cold or flu). Put the bristles at a 45-degree angle to your teeth, and slowly brush back and forth, covering the front, back and chewing surfaces. Stay at it for two full minutes, and don't forget to clean your gums, tongue, and hard palate. Rinse well with water. Whatever your preference, use it each day. 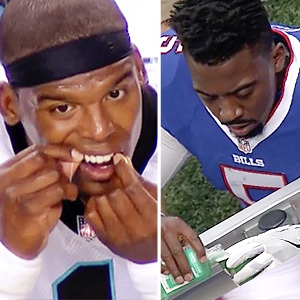 Be gentle, and expect some minor bleeding if your gums are unaccustomed to flossing. If you wear braces, have restorations such as crowns or bridgework, or have tooth replacements such as dental implants, ask your hygienist or Westland, MI, dentist for additional tips on how to keep them clean. It's never too late to start a good habit, and your teeth and gums will benefit from your diligence in oral hygiene. Additionally, see your Westland, MI, dentist every six months for a check-up and professional cleaning to preserve your healthy smile. Call Carey & Aylward, DDS today for an appointment: (734) 425-9130.